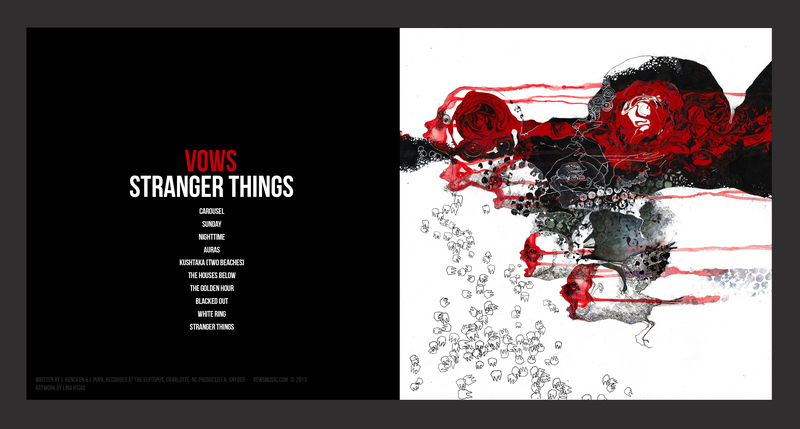 “vows” Released Today – First of 2 EP’s This Week! We would like to share with you multiple pieces of exciting news. First – we have joined the family of Tree Machine Records, a wonderful little label based out in Bloomington, Indiana. They have been kind / supportive enough to share our future releases with you! Go give them a peep and the support they and their awesome roster of artists deserve. We are happy to call them family. 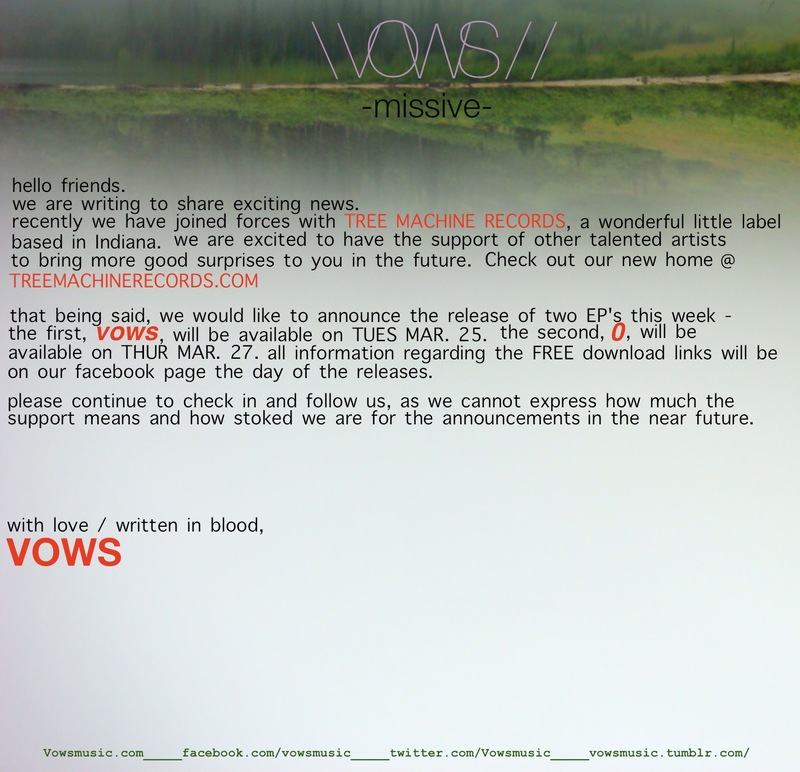 Secondly – here is the release to our NEW s/t EP, “vows” for FREE DOWNLOAD over at our bandcamp. Please share and most of all, enjoy. And finally, this is the FIRST of TWO EP’s being released through Tree Machine Records this week – our second EP, “0”, will be released THIS THURSDAY, MAR. 27th for free on our bandcamp, as well. So do check back in either here or on our Facebook page for details and the download / stream link on that day. Please feel free to follow us on our TWITTER, TUMBLR, and INSTAGRAM. 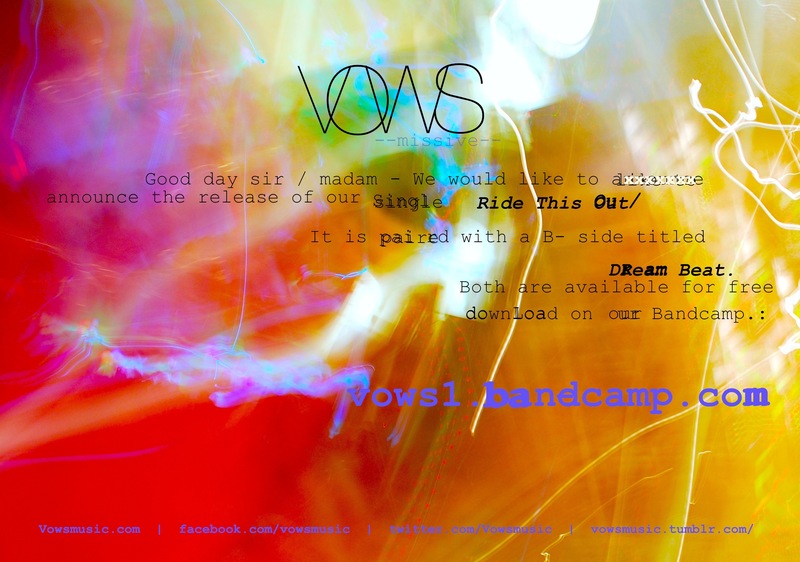 New single, available for FREE stream/download (name your price) on our bandcamp.